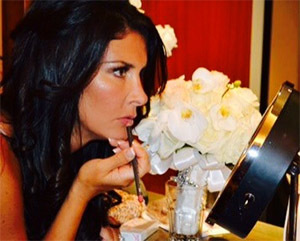 Gianna has been working the in the beauty and fashion industries for over twenty years as a renowned Makeup Artist and bridal Hair Stylist. Her creative eye started early on while attending a liberal arts college, concentrating in the Arts. Gianna most looked forward to her days of painting, whether oil painting portraits of people or water brushing landscapes. After graduating college, Gianna’s persistence and love for fashion and beauty landed her a job at one of the most sought after companies for beauty and fashion in the world, Saks Fifth Avenue. There, Gianna began to fine tune her skills which eventually would lead her to her career today. She quickly discovered her true passion and realized that women’s faces were her palettes and the “magic” of make up and hair styling would become her true work of art. It was with this sense of passion, personal style and excitement that Gianna then took to 5th Avenue in New York City at one of the most prestigious salons and began doing hair and makeup for some of the most demanding and affluent clients in the world. Gianna has worked on various models for head shots, several film and company product advertising productions, theater performers which included Actors and Actress performing on Broadway and overseas and special occasion/events. Gianna also looks forward to working Fashion Week in NY every year with some of the top hair and makeup artists. More recently Gianna’s work has appeared on the “Today Show”, stage at Gramercy Theater in the heart of the fashion capital, and various bridal magazines.